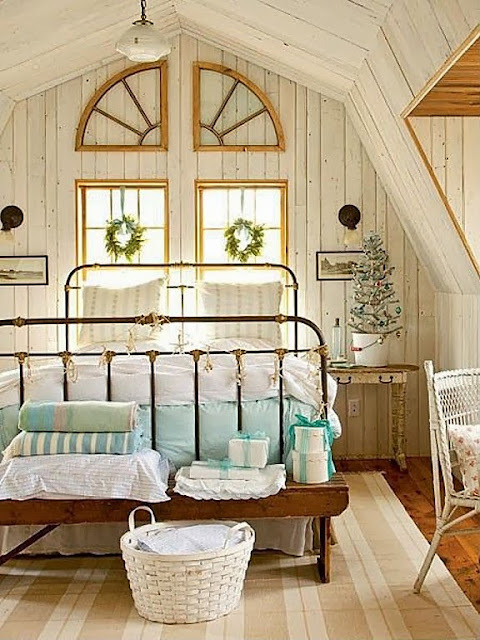 Master bedrooms have expanded throughout the years into true sanctuaries for homeowners. Nowadays these bedrooms are vast suites, large enough to accommodate a resting place, reading room, bathroom, entertainment center, remote-controlled fireplace, walk-in closet and even a home office. However, this expanded style was only popularized in the mid-80s, leaving many older homes without a master bedroom or with a much smaller room than desired. 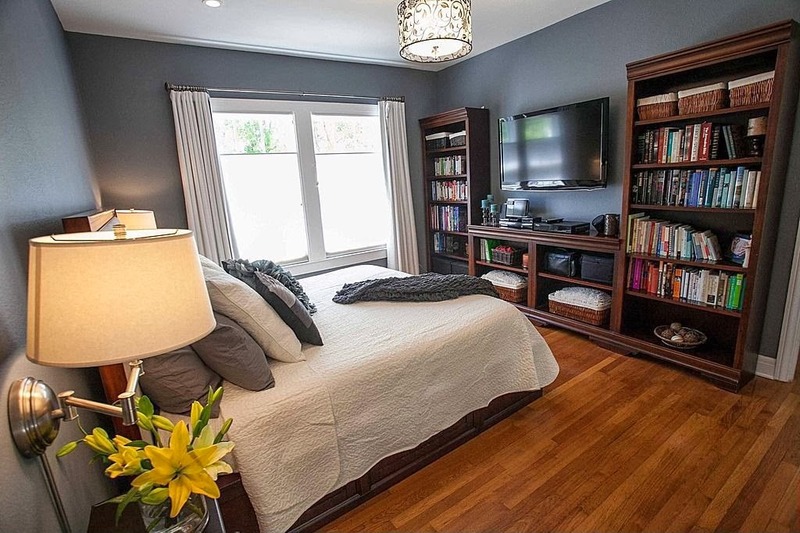 Before investing in a major remodel, try these five tips to rework a cramped master bedroom. Homeowners with ample square footage can also benefit from these design tips to optimize their space. The first step is to look at the dimensions of the room and be realistic about what to include or move to another room. For instance, tighter rooms shouldn’t try to squeeze in a desk, vanity or sitting area. Reconsider the bedroom television; opt to move it to a family room or ditch the DVD player and sound-enhancing equipment and mount the TV on the wall. After settling on the priority features of the room, make sure each item has a home. Clutter cramps a room. Use hooks, racks and wall-mounted shelves to organize and bring items off the floor. Meanwhile, keep the design simple by not overwhelming the space with trinkets and patterns. 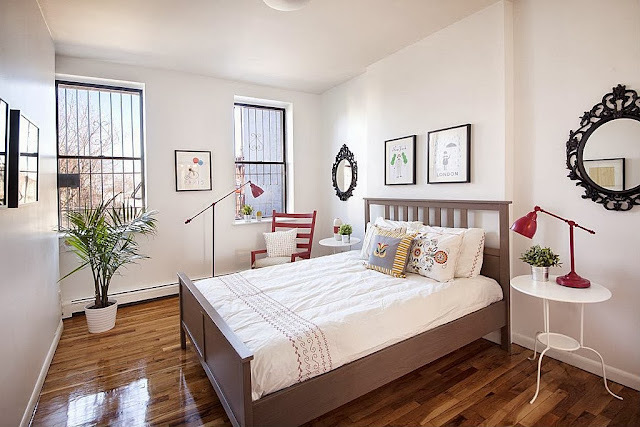 Stick to one significant piece of art rather than a gallery wall, and choose a solid color or extremely subtle patterned bedspread as opposed to a fashion-forward pattern. Next, sell any furniture that doesn’t fit the size of the room. Will a queen-sized bed be a better fit than a king? Small rooms should incorporate metal-framed beds and furniture to keep walls visible beyond the pieces. Replace bulky armories with legged cabinets. Swap out heavy-looking bedside tables with glass-topped, legged tables. Instead of completely omitting the sitting area, downsize to a chair instead of the couch. Beyond sizing the pieces to fit the room’s dimensions, only use furniture that serves as storage. The bed should either have drawers underneath or fit storage bins below the frame. Slip a full-length mirror on one side of a cabinet. Desks can double as a vanity with counter space for jewelry. Trunks provide storage and seating while appearing fashion-forward at the base of a bed. Nothing is more functional in a bedroom than a customized closet. Hire a professional closet organizer to build units in the current closet space. It’s unbelievable how much can fit when installations provide a perfect space for shoes, jackets, sweaters and jewelry. Other built-in options help maximize bedroom space, such as a shelving installation or reading nook below a window. Lastly, use the effects of lighting to highlight the bed as the primary feature while using soft lighting to emphasize the overall comfort of the space. Instead of disrupting the flow of the room with a beautiful chandelier, consider recessed lighting for well-lit rooms or two hanging lights at each bedside for warm lighting. Highlight the bed, at bed level, to create an illusion of a larger space. Lamps also provide soft light, but be careful not to clutter the floor or tables with large lamp stands and bases. Dimmer switches allow homeowners to set the perfect level of lighting and are inexpensive. Also consider adding a large mirror to a wall opposite the window. Mirrors reflect natural light and visually enlarge rooms. Unless residents need blackout curtains for sleep, select lightweight or sheer window curtains to allow maximum lighting. 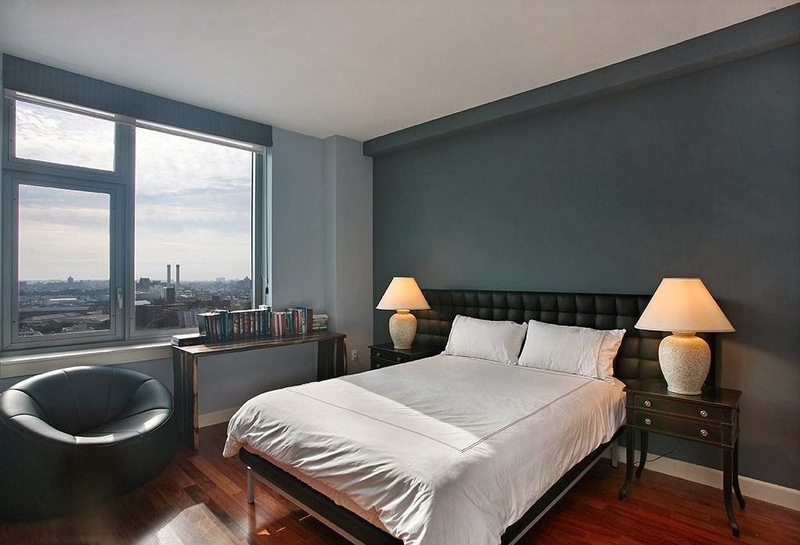 And finally, avoid painting the small master bedroom a dark color. Warm, cozy and even bright colors look stylish in bedrooms as long as the lighting suits the space, but dark brown, navy blue, deep purple or black are all extremely heavy for small spaces. These simple design fixes make bedrooms feel like private sanctuaries – whether the home has old fashioned charm or feels crowded in a modern, expansive suite. See more bedroom design inspiration on Zillow and stick to these five tips to obtain an open, uncluttered master bedroom. We have a tiny master bedroom, but I doubt my husband will ever give up the king size bed. I'll have to incorporate your other suggestions instead. :) I've always wanted a chair in my bedroom so I could sit and read, but that's not realistic with the small space we have. Oh, well. I appreciate the suggestions on how to make the space you have work for you rather than trying to force something that doesn't work into the room. Lovely design ideas.. I am pretty bored with the outdated look of my bedroom. Therefore, I would love to incorporate some of these ideas to decor it again.